17. Could Erdogan Victory Benefit Turkey’s Kurds? 27. Appeal: Support a Democratic Experiment – The Kurdish region Rojava in Syria needs help! The Peoples’ Democratic Party (HDP) Deputy Co-chair and Istanbul MP Sırrı Süreyya Önder evaluated the “resolution process” and 30 March’s local elections in an article he wrote for Al Jazeera Turkish service under the title “The process, Heval!”. Önder pointed out that the democratic autonomy model adopted as a vision by the Kurdish Freedom Movement has started to be heard about often together with many factors of the Middle East politics. HDP MP indicated democratic autonomy and the peace process as two major bases for the achievement of a non-conflict environment and peace for the peoples of Turkey and “Kurdistan”, adding; “The people of the Kurdish region has regarded the BDP-HDP unity as one line, and this happened due to a number of factors which include the fact that the Prime Minister said nothing regarding the future of the ongoing process during the rallies he held in the region. Many MPs, Lords and representatives of civil society organisations in Britain have signed a petition calling for the release of Kurdish People’s Leader Abdullah Öcalan. 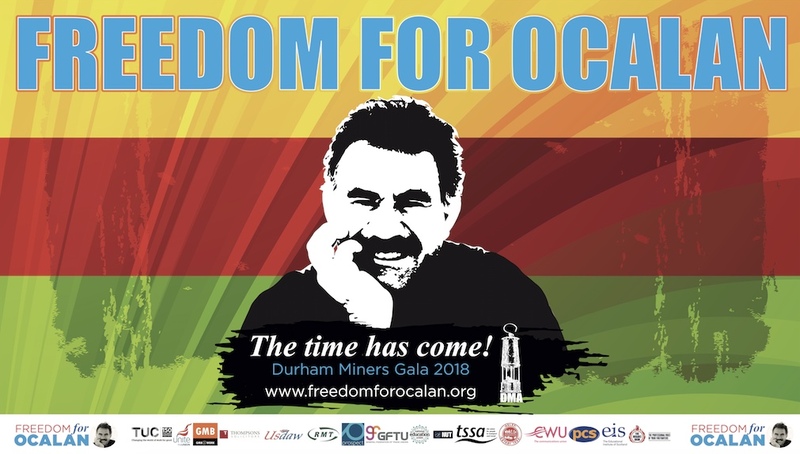 On Öcalan’s 65th birthday, and 15 years after his abduction, some of those who signed the petition spoke to ANF, recalling the words of Nelson Mandela: “only free men can negotiate”. Member of the House of Lords, Raymond Hylton, stressed that Öcalan had been unable to see his lawyers for two and a half years, yet despite this peace talks had continued. Hylton said that in order for Öcalan to make a contribution to peace in the Kurdish region he must be released immediately, adding: “remember Mandela”. South African Archbishop Desmond Tutu has called on the Turkish government to release Kurdish people’s leader Abdullah Öcalan, saying keeping him behind bars is of no benefit to anyone. Nobel peace prize winner Desmond Tutu told ANF that Öcalan’s continued incarceration would not serve anyone, and that despite his being in solitary confinement for the last 15 years, peace was always possible. Tutu recalled that Öcalan had persuaded Kurdish freedom fighters to call a ceasefire and prepared a roadmap for peace. Hundreds of people, intellectuals, politicians, artists across the world has signed a letter to Prime Minister R.T. Erdoğan and Minister of Justice Bekir Bozdağ to underline the plight of 544 ill prisoners in Turkish jails with 163 in critical condition. Among the signatories are Prof. Noam Chomsky, Prof. Immanuel Wallerstein, Archbishop Desmond Tutu, Selahattin Demirtaş, Co-chair of Peace and Democracy Party, Oscar Olivera, several EMPs, British lawyers Frances Webber, Margaret Owen OBE, Gareth Peirce, Louise Christian, Sinn Fein Pat Sheean MLA and Conor Murphy MP, G. M. Tamás, Philosopher, a former member of the Hungarian Parliament, Jacques Gaillot, Catholic Bishop. Local election results in Turkey’s eastern Agri province were annulled at the request of the pro-Kurdish Peace and Democracy Party (BDP), which said it decided to repeat the polls despite a clear win in order to avoid tensions and bloodshed following repeated recounts. The March 30 election will be repeated again on June 1, due to constant challenges of the count by the ruling Justice and Development Party (AKP), the BDP said. BDP candidate Sirri Sakik won the municipality election in Agri last week by 10 votes against his AKP rival Hasan Arslan. But the AKP alleged that its candidate had won, and ordered a recount. After 14 recounts did not change the results, and the AKP demanded yet another tally, the BDP asked for an annulment and repeat election in Agri. The Hakkari (Kurdish: Colemêrg) Province Branch of the BDP organized a protest march around the foot of Kato mountain earlier today in order to draw attention to a recent upsurge in military movements in the area and the continued construction of military bases in the region. According to local reports military activity between the village of Üzümcü and Şine mountain on the Hakkari-Çukurca road has increased markedly over the past week. Locals fear that the Turkish military could be preparing for a large-scale operation and hope to prevent such an outcome. Thousands of marchers gathered at the foot of Kato Mountain near the village of Üzümü. As marchers attempted to walk up the mountain road they were confronted by soldiers who fired on the crowd with tear gas and plastic bullets. An appeal from Syrian Kurds went unheard amid the clamor of the [Turkish] elections. In Syria, where there is a masterpiece imbroglio of fronts within fronts, alliances with the enemy and animosity against allies, it becomes nearly impossible to decipher what is going on when the Kurds get involved too.Around Kobani [Ain al-Arab], which is opposite to the Turkish town of Suruc near the Mursitpinar border crossing, unnerving developments have been taking place since March 17. On one side there is the People’s Protection Units (YPG) of Rojava [west Kurdistan] and on the other side, the Islamic State of Iraq and al-Sham (ISIS), which has been defying al-Qaeda leader Ayman al-Zawahri who is backing Jabhat al-Nusra as al-Qaeda’s Syria bulwark. ISIS is launching attack after attack to capture Kobani, which is a critical link of the Kurdish autonomous region of three cantons. In a comment published by several international newspapers. PYD co-chair, Salih Muslim has written about the Syrian war and Kurds. In the article Muslim points out how “the civil war now engulfing Syria emerged from its people’s desire for political change. But the war is not universal: since the outbreak of protests in 2011 against President Bashar Assad’s regime — and long before — one group of Syrians, the Kurdish community, has consistently sought peaceful change and respect for the rights of all”. Muslim adds that “For the Kurds, the widening conflict meant that, in addition to fighting a brutal dictatorship, we were now confronted by al-Qaida militants seeking to establish an Islamic emirate in the Middle East. 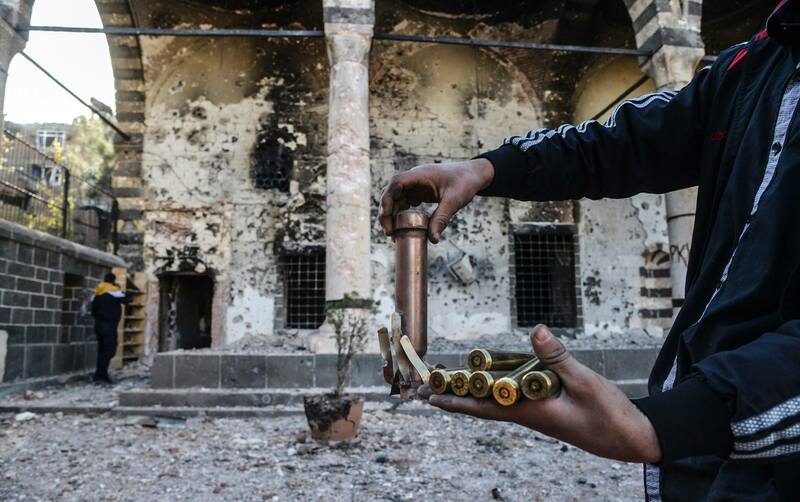 The Kurds have never sought to achieve democratic goals through violence”. The Commission of Humanitarian Relief and Support in the Democratic Autonomous Administration of the Kurdish Cantons (Jazira, Kobani and Efrin) has written a letter to the UN Humanitarian Aid Representative in Syria to offer cooperation in the implementation of the Resolution 2139 (to boost humanitarian aid access in Syria) and the 2 October 2013 statement by the President of the Security Council (S/PRST/2013/15) including through facilitating the expansion of humanitarian relief operations, in accordance with applicable provisions of international humanitarian law and the UN guiding principles of humanitarian emergency assistance. The People’s Court lies in the middle of the city of Qamishli on the road known as Amouda, occupying the ground floor of a three-story building that bustles with residents on weekdays. The court was established by lawyers and city notables in August 2012 with the support of the Democratic Society Movement, an umbrella group that includes the Kurdish Democratic Union Party (PYD). It was formed to fill the gap left by the state courts and to implement the plan set by the PYD to establish autonomous Kurdish institutions. Elections were held in a conference organized by the Democratic Society Movement, resulting in the appointment of Judges Rofind Ali and Hamreen Othman, as well as Public Prosecutor Khounaf Ahmad, who is a former academic. The Kurdistan Democratic Party KDP led by Massoud Barzani, the ruling party in Iraqi Kurdistan, has removed the the flag of the Kurdistan Regional Government (KRG) from the Sêmalka border crossing with Syrian Kurdistan (Rojava) and raised its party’s flag in its place. KDP officials have also dismantled the bridge across the Tigris River which had connected Rojava with the KRG, according to a report from ANHA and carried by ANF. The KDP had been limiting access to the Sêmalka (Peşabir) border crossing since May of last year. In another piece carried by ANF it is reported that at least one Kurdish youth from Rojava was injured earlier Wednesday when Iraqi Kurdistan’s Peshmerga units attached to the KDP opened fire on protesters near the village of Sihela in the district of Derik. Protesters were angry about the construction of a new border ditch which the KDP began last week. Kurds living in Brussels organised a rally to demonstrate solidarity with the people of Kobanê canton in Rojava and to protest gang attacks on the canton. Dara Ahmet from the PYD spoke at the rally in front of the European Parliament, emphasising that the Rojava revolution was at the same time a Middle Eastern revolution, adding that for this reason international forces trying to redesign the Middle East wanted to prevent the success of the Rojava revolution. Ahmet underlined that gang attacks on Kobanê were connected to this, calling on all democratic, patriotic circles to support the revolution in Rojava. Left Group members of the Parliamentary Assembly of the Council of Europe (PACE) from Denmark, Iceland, Norway, Germany and Turkey held a press conference with campaigners to demonstrate their support for the vigil calling for freedom for Kurdish People’s Leader Abdullah Öcalan in front of the Council of Europe complex. Amongst the Left Group deputies who attended the press conference were Nicolaj Wiliamsen, from Denmark, Jonoson Ogmundor, from Iceland, Snorre Vallen, from Norway, George Loukaides, from Cyprus, Andrej Hunko, from Germany and Nazmi Gür, from the BDP. Film director Luis Miranda and Friends of the Kurdish People Association director Bernard Revolon and association member Jaquline Hubert also attended. Turkey’s Justice and Development Party (AKP) was voted in by more than 40% of those who voted in local elections on March 30, 2014. Erdoğan and his cabinet have represented their win as ‘certain victory’ against all oppositional political movements. But this is not the whole reality. First of all, quantitatively, while all other parties such as CHP, MHP and BDP-HDP (Pro-Kurdish opposition) gained in quantitative power with respect to previous elections, the AKP has lost more than 2 million votes throughout Turkey. The BDP-HDP, pro-Kurdish project, nearly erased the AKP from southeastern Anatolia and some parts of eastern Anatolia; which has actually ensured the de facto emergence of democratic autonomy that Kurdish Leader Öcalan has been trying to achieve. One consequence of the victory of Recep Tayyip Erdogan’s ruling AKP party in Turkey’s local elections might be to reinforce an alliance of convenience with pro-autonomy Kurdish politicians who also boosted their representation in the country’s southeast. Prime Minister Erdogan’s AKP – the Justice and Development Party – and the Kurdish Peace and Democracy Party (BDP) were regional rivals in Sunday’s elections in which the AKP won more than 45 per cent of votes nationwide. But that does not mean that they do not share common interests in the face of common enemies. Prime Minister Tayyip Erdogan will be banking on Kurdish support if he bids for Turkey’s presidency in an August election and is likely to use his party’s strong showing in local polls as a mandate to advance peace talks with Kurdish militants. Erdogan’s AK Party emerged well ahead of rivals in municipal elections on Sunday, increasing its share of the vote including in parts of the Kurdish-dominated southeast. The outcome has bolstered his hand in a peace process in which he has invested much political capital despite staunch nationalist opposition. If the article hadn’t had a Seymour Hersh byline, it wouldn’t have dropped like a bomb in Turkey, despite all the upheaval and polarization there over Syria. “The Red Line and the Rat Line,” published in the London Review of Books, alleges that the source of the sarin gas used against the Ghouta suburb of Damascus on Aug. 21, 2013, was Prime Minister Recep Tayyip Erdogan. According to the piece, Erdogan arranged supplies of the gas to jihadist groups to create the impression that the gas was used by the regime of President Bashar al-Assad and to goad US President Barack Obama into military intervention in Syria. Recep Tayyip Erdogan used to be one of Barack Obama’s cuddliest allies. Religious but secular, powerful but democratic, independent but a reliable Nato chum, he was the kind of guy the White House and the Pentagon could rely on to provide a guiding hand in the Arab part of the old Ottoman empire – and a channel for rebels who could bring down the hated Bashar al-Assad of Syria. The American think-tank mountebanks – taking their cue as usual from the US ‘official sources’ – even proclaimed Turkey as a “role model” for the post-dictatorship Arab world. Queue in hollow laughter. Was a nation which still mistreated its Kurds, acted as a holocaust denier in refusing to acknowledge the 1915 Armenian genocide, and which even trashed the trial of those who killed the Armenian journalist Hrant Dink in an Istanbul street in 2007, really the kind of mirror into which the Muslim world should stare with approval? Yeah, now the mask has fallen. Michael Rubin is a former Pentagon official whose major research areas are the Middle East, Turkey, Iran and diplomacy. Rubin instructs senior military officers deploying to the Middle East and Afghanistan on regional politics, and teaches classes regarding Iran, terrorism, and Arab politics on board deploying U.S. aircraft carriers. Rubin has lived in post-revolution Iran, Yemen, both pre- and post-war Iraq, and spent time with the Taliban before 9/11. His newest book, Dancing with the Devil: The Perils of Engagement examines a half century of U.S. diplomacy with rogue regimes and terrorist groups. (American Enterprise Institute). Intense onslaughts by jihadists and Assad’s regime against the Kurds have endured for weeks across northeast Syria, the reason being the Kurds say, “We reject both the regime and jihadist rebels.” Your Middle East spoke with both Kurdish and jihadist fighters. An attack by two suicide bombers of the Islamic State of Iraq and al-Sham (ISIS) that shattered the newly established autonomous city council of al-Qamishli on 11 March 2014 and killed 10 Kurdish civil servants, marked a new bloodstained chapter in the Kurdish diary amid Syria’s civil war. The day after, on 12 March, while thousands of mourners gathered in al-Qamishli to condemn the ISIS attack, gun fighting broke out in a regime-controlled area and Assad’s soldiers killed a member of the pro-Kurdish People’s Defense (Protection) Units (YPG). 25. KNK Open Letter to PM Erdogan: Release all critically ill prisoners in Turkey, April 2014. 26. CPJ Open Letter: Turkey should reverse all anti-press measures and laws, 9 April 2014. 27. Appeal: Support a Democratic Experiment – The Kurdish region Rojava in Syria needs help! An appeal of medico international in cooperation with Civaka Azad – Kurdish Centre for Public Relations e.V. April 2014. 28. A people’s quest for freedom and democratic autonomy, KNK Information Dossier, March 2014. 29. 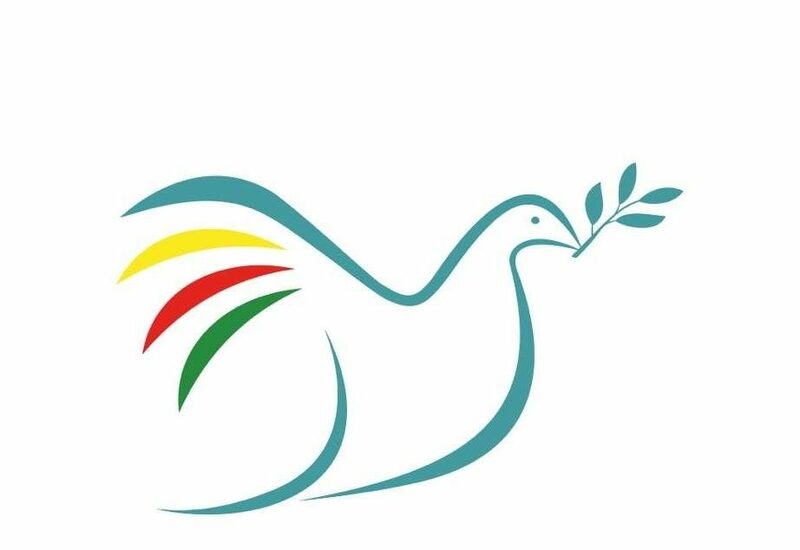 The Kurds in the spotlight: local and regional challenges, NOREF Norwegian Peacebuilding Resource Centre Report, April 2014.